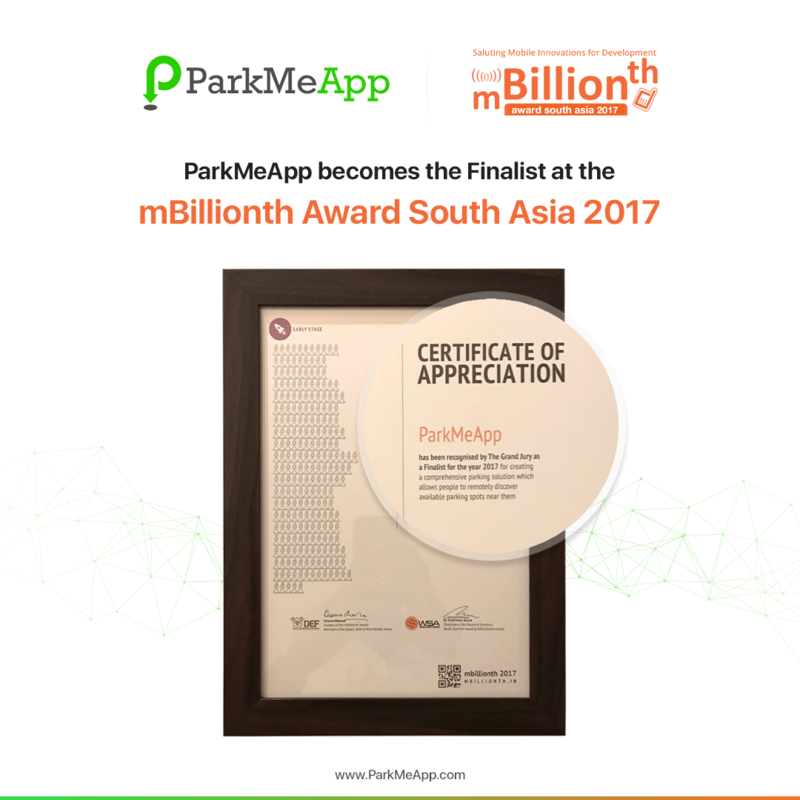 ParkMeApp, an initiative of Ceffectz (Pvt) Ltd has been selected as one of the finalists on mBillionth Award 2017. This award is focused on ‘Saluting Mobile Innovation for Development’ in the South Asian Region. This year the award will be presented for the 8th consecutive time. The Grand Jury was held on the 16th of June where 84 nominations were shortlisted from a total of 294 entries, across 10 categories. Some of these categories are Business and Commerce, Culture and Tourism, Media and Entertainment etc.The finalists have been recognized for their contribution in the respective fields as well as their impact on the general public by an experienced panel of jurors. The list of winners, Special mentions and Chairman’s Distinction will be revealed at the 8th mBillionth Awards Gala in New Delhi India, on the 4th of August 2017. ParkMeApp has applied for the ‘Early Stage’ category and emerged as a finalist in the respective field. The Red Elephant Foundation and Lanka Reload are other such finalists competing with ParkMeApp. This is seen as a great achievement of Ceffectz (Pvt) Ltd. The Founder/CEO of the organization Mr. Buwaneka Ranatunga is happy to take the initiative in driving ParkMeApp to reach its zenith. ParkMeApp is a mobile application available on Google Play and Apple Store to fulfill the demands of both android and iOS users. It is a parking app which allows people to discover available parking spots nearby to them. It also provides an opportunity for anyone who is interested and willing to become the owner of a parking spot. The user can compare the rates and reviews to pick the cheapest and safest parking spot from many options. It also allows the user to view the opening hours, address and check images of the parking spot. It navigates you to the parking destination of your choice. ParkmeApp helps you find your vehicle if you forget where exactly the vehicle was parked. It directs you to your vehicle once you have saved the location on the device. What makes this application different from any other is that now the users can save their favourite parking spots and receive notifications whenever any updates or changes are being made. ParkmeApp not only allows you to explore parking options, but you can also become an owner of a parking spot. You can add a new spot and pick the price range, locate it, name it and select opening and closing hours. You can also display the facilities you wish to provide such as rest rooms, airport shuttle, handicap spaces, EV charges etc. It provides a good opportunity for anyone who has a motive of publicizing and earning profits out of a vehicle park. The parking countdown is a new feature which has been incorporated. It shows you how much more time is left in your parking spot by sending notifications on a regular basis. ParkMeApp caters to the needs in the modern society and attempts to solve the complexities faced by people in their day today routines. It helps make work, shopping or any task that involves driving around much easier and bearable. It is a modern innovation that sits perfectly in the contemporary Sri Lankan Society. ParkMeApp in its unique and perfectly executed design, provides inspiration for many innovators. It has truly deserved the position that it has achieved in the South Asian region and will continue to take a leading place in its respective field. Success can really be achieved when great teamwork and commitment meets creativity.